Short version: A unique and powerful camera hampered by uneven attention to detail and an inadequate menu system. For a camera so strongly and effectively focused on going back to basics, the legacy of ugly menus, slow focus, and chintzy dials seems especially out of place. In this case, beauty truly only is skin deep. Except for the fabulous lens and sensor, I should say. 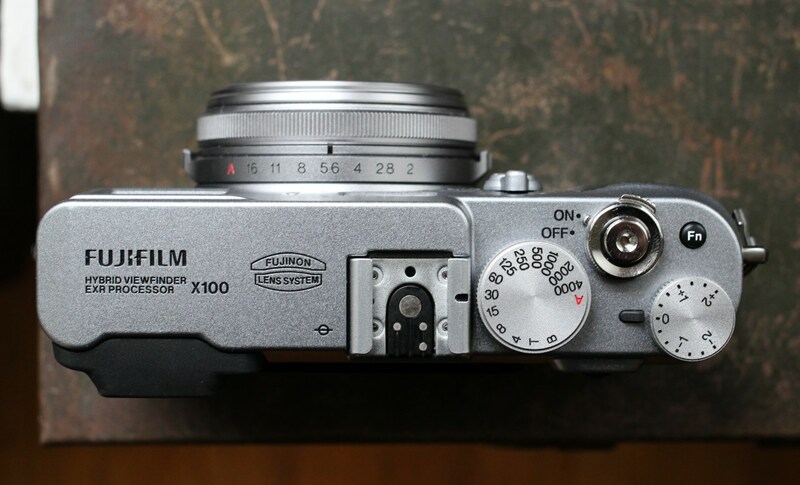 I’ve made no secret of my excitement regarding the X100. Since playing with it at CES early this year it has been pretty much the only camera I’ve been seriously looking forward to. Finally, something to replace my aging Canon. A triumph of retro design and modern engineering. And in a way, it is. But while they certainly created a beautiful camera that can produce beautiful images, they failed to make a camera that makes you want to use it. Before I go any further, let me just remind our readers that this is a rather late and decidedly anecdotal review. For thorough testing and image quality comparisons, I recommend DP Review’s extensive coverage. This is just me adding my thoughts to the pile. 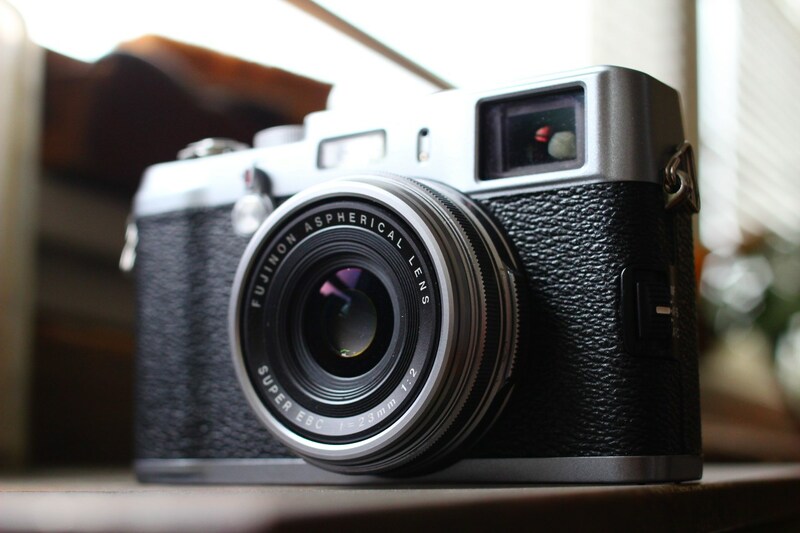 There’s no denying that Fujifilm has crafted an amazing object. Too many cameras today, especially compact ones, have a feeling of high-tech chintziness, of thin bits of metal, chippable plastic, and toylike dials. 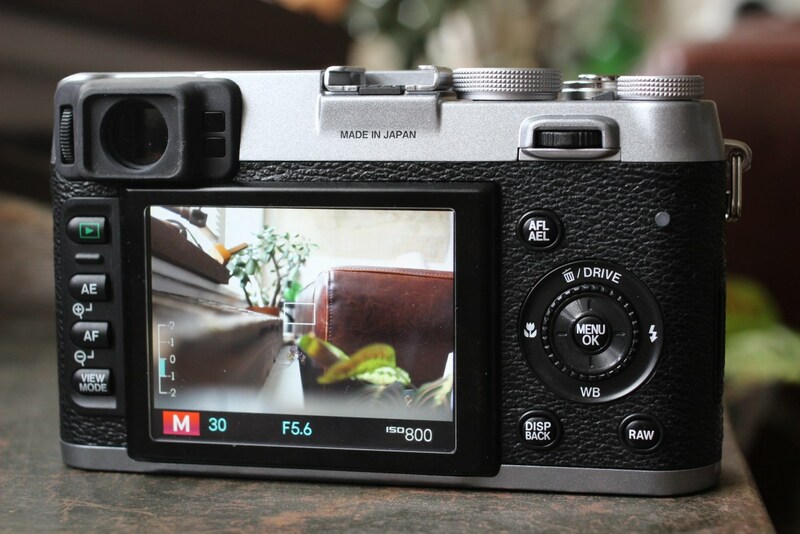 Fujifilm has made a camera that feels almost as solid as my old Canon film SLR from the early 70s. You have the retro look, of course, but it also has the feel, for the most part. I love the way the shutter and bias dials and aperture ring feel. It’s so nice to be spinning something again, to be selecting something etched in metal, not using a jog dial to tell a piece of software to open the aperture a bit more. The threaded, metal shutter release button is a joy to press. The pancake lens and compact form factor make things a bit close for comfort if you have big hands, but it’s hot hard to figure out. And the hybrid viewfinder! What an accomplishment! Seeing that overlay on the rangefinder for quick reference, then snapping over to the high-res electronic viewfinder — it’s magical. It works as advertised, it looks great, and makes you want to show it off. Here’s how it looks; excuse the poor picture quality, putting my lens right up to the eyepiece limited my compositional options. Cool, isn’t it? There’s a definite difference in what the rangefinder and EVF show, but that’s the reality of rangefinders. Knowing your framing in the rangefinder is something that takes time, and the ability to switch instantly to the EVF is very handy. But then I started taking pictures. The first thing I did was try to focus the camera on something on my desk. The autofocus labored, the image flashed, and… nothing was in focus. I tried again and again. Apparently I had to switch to macro mode for objects closer than 20 inches or so. And that’s when I first used the d-pad/dial. What a cheap-feeling little piece of junk it is! It wobbles all over, you have to kind of hit it with your thumbnail, and the center button is microscopic. This was on a $1200 camera? The whole menu system gives me the same feeling of low quality. It’s a consumer interface on a professional camera. The information on the LCD and EVF is haphazard and poorly organized. Taking a video means going into the drive mode settings on that crappy little d-pad. Why isn’t it, say, on the shutter speed dial, since you can’t use that dial anyway while in video mode? If you have to have a macro mode, why do I have to hit the button and choose between on and off? If there are only the two modes, why doesn’t the button just switch between them?! It’s nothing I couldn’t get used to, but it’s not something I want to get used to. And the manual focus, one of the fun things to have in a “professional” camera, especially one with such a great, fast lens and HD video, is useless. You have a nice (if narrow) ring with a smooth action, but the actual focus only changes in little spurts about half a second apart. Not only that but the sensitivity felt to me incredibly low. I brought it to about its minimum focus, which is quite close (~4 inches) using macro mode AF (accurate when you’re within its range), then used the manual focus ring to bring the chair on the other side of the room into focus. Averaging about a quarter turn per movement, it took me 16 spins to get the chair in focus! That’s three or four full revolutions of the ring! My Canon’s lens goes from macro to infinity in half a revolution. I don’t want to make this into a litany of complaints. But I am disappointed in this camera. Could it ever have lived up to my expectations? I certainly think so — but even with the updated firmware there is still a huge amount of improvement needed before this camera is a workable replacement for something like a DSLR, or even a really credible alternative to other ~$1000 cameras. The X100 is a unique and powerful device, but its shortcomings simply make it too much of a chore to make it worth a recommendation. The camera simply isn’t ready for anyone who isn’t willing to make compromises in how they shoot. That said, this is the first version of a camera that has sold incredibly well and will almost certainly see real improvements over the next few years. It’s a “visionary” first-generation product, essentially, with all the pros and cons associated with that class of device. If you’re willing to grapple with the camera’s interface and don’t mind a few dozen quaint operational habits, the X100 is an interesting and capable camera. But if you’re looking for a shooting experience that is user-friendly and quick, look elsewhere for now.